Over the weekend, pretty much every development executive in Hollywood brought home the same screenplay: a spec script called The Beaver. And Steve Carell is attached to the project. Are you ready to watch Steve Carell spend an entire movie with a beaver puppet on his hand? 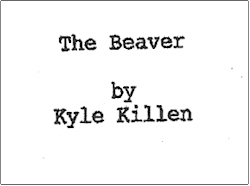 Over the weekend, pretty much every development executive in Hollywood brought home the same screenplay: a spec script called The Beaver by a neophyte screenwriter named Kyle Killen. As reported by The Hollywood Reporter on Friday, The Beaver has Steve Carell attached, and Anonymous Content is searching for a director before submitting it to studios. We got our hands on a copy of the screenplay, and this is one of the more elegantly ! *#^ed-up stories we've read in a long, long time. Dark and witty, The Beaver's already been described as Lars and the Real Girl meets Being John Malkovich, but we'd call it a cross between Little Miss Sunshine and Stranger Than Fiction — a dysfunctional family story told through a high-concept gag, one that actually illuminates the story's sad, difficult characters in a new and surprising way. Some spoilers follow, although we won't give away the story's biggest twists. Walter's lips still move, so there's no confusion about where the sound actually comes from, but for a hand puppet, The Beaver is strangely animated. When Walter speaks, it's in his own tired, groggy voice, so that despite one of them being a puppet, they seem to be having a real back and forth conversation. Claiming that he's under the care of a "prescription puppet," Walter begins interacting with everyone exclusively through The Beaver, who is as chipper, positive, and loving as Walter has been depressed, miserable, and remote. The Beaver brings Walter's son Henry out of his shell, reinvigorates his marriage, even saves the toy company Walter's been running into the ground. The only one who doesn't buy the change is Walter's angry high-school son Porter, who's wrapped up in his own romantic and emotional drama. What we like best about the script is not the conceit of Steve Carell with a beaver on his hand — although the scene where The Beaver puts on a tiny suit is pretty great — but the fact that what seems at first to be an offbeat comedy of uplift turns dark and weird very, very quickly. The second half of the script includes some moments of sadness and madness, including a showstopping fight scene between Walter and The Beaver. "If this plays with any humor at the start it very quickly disappears," Killen's stage directions instruct. "This isn't Liar Liar." As one executive we spoke to told us when we asked about The Beaver, "It's completely loony tunes." But it's also pretty great — bizarre and sweet and sad and gruesome and surprising. It's easy to see why Carell was attracted to the script — it's a project that utilizes his deadpan side and his silly side in equal measure. The Hollywood Reporter claims Jay Roach was approached to direct, which is fine as it goes, but we're glad he supposedly turned it down; we'd love to see what someone with a slightly more offbeat sensibility could do with this story. Jason Reitman, say, or Edgar Wright. "You're going about it all wrong, mate," The Beaver tells Walter on their first meeting, explaining how Walter needs to change his life. 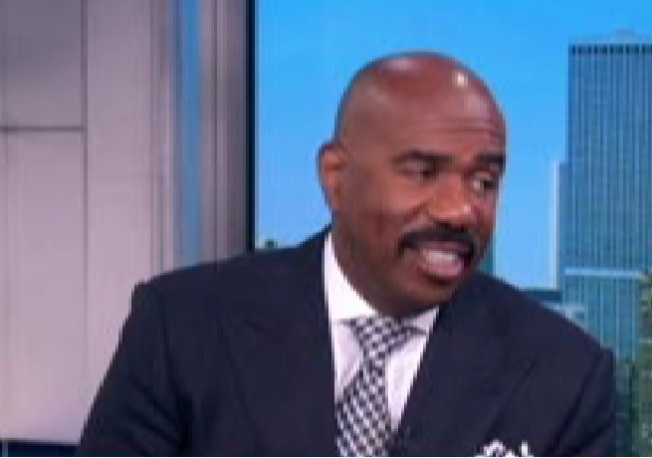 "You think you knock out a wall, change the drapes, everything will be back in order. Doesn't work that way … You want things to change, really change, you got to nuke it." From all appearances, that's what's happened to writer Kyle Killen, a 32-year-old USC film grad living, per his Facebook profile, in Austin, whose résumé includes nothing more starry than a McSweeneys.net gag and a pretty awesome Salon story about working tech support. Even if The Beaver never gets made, he's got everyone in town reading the kind of clever script that gets someone lucrative rewrite deals for years. If it does get made? He'll definitely have nuked his old life and moved on to a new one.